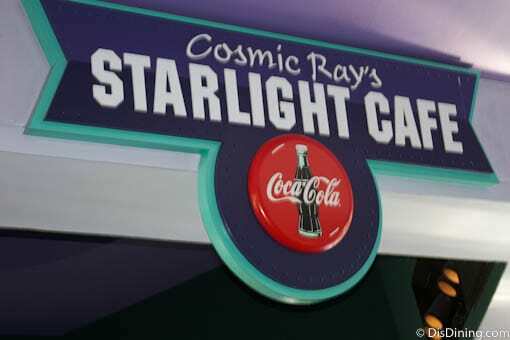 Cosmic Ray’s is in Tomorrowland at Magic Kingdom, just across from the Tomorrowland Speedway attraction. The café offers multiple choices in entrees, as well as kids’ meals. Choose from items like cheeseburgers, chicken nuggets, salads, pulled pork sandwiches, chicken club sandwiches and more. There’s even a secret mobile order menu that includes a pork belly sandwich, loaded Galaxy fries and other items. The restaurant has a large dining area that wraps around the order counters. Eat there in the evening and you can see the fireworks over Cinderella Castle. Most entrees cost $14 and under, and kids’ meals cost under $8.